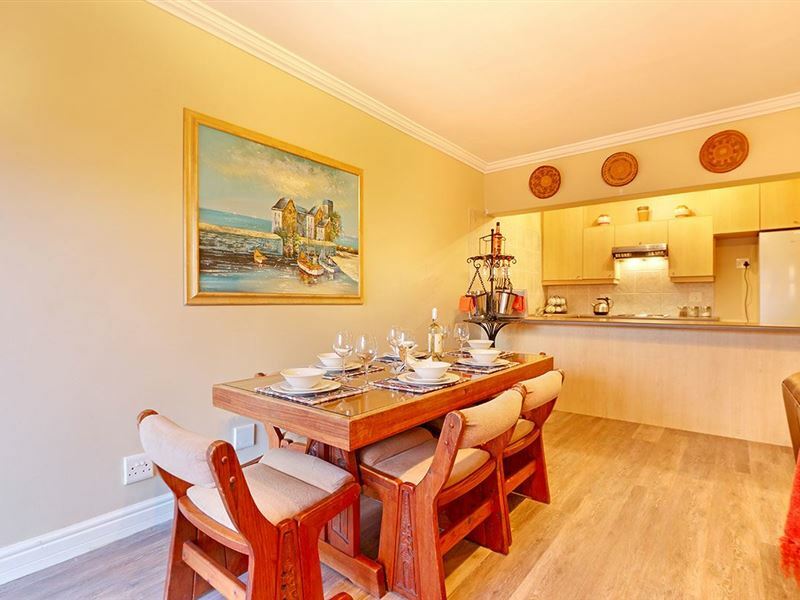 Explore this captivating two-bedroom garden apartment in Bloubergstrand, with stunning views of the Atlantic Ocean and the distant Table Mountain as well as all the necessary features for a private and luxurious self-catering holiday. 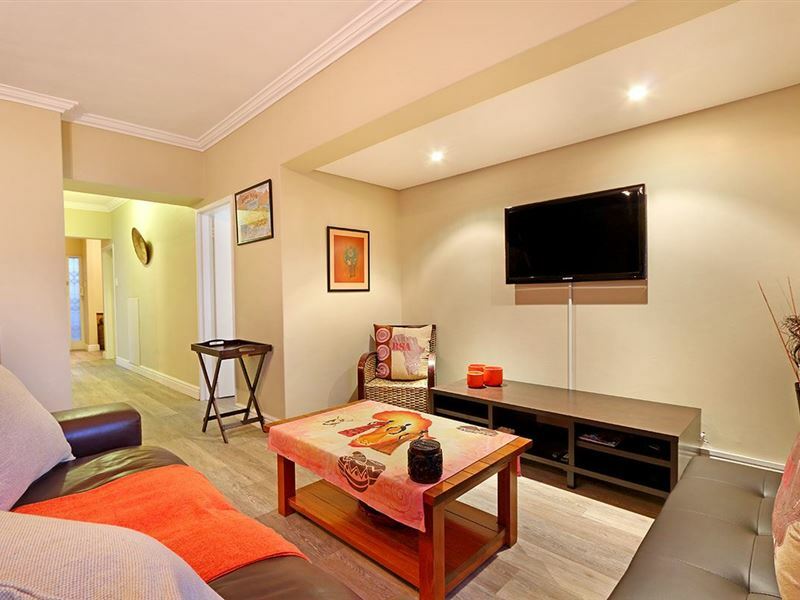 With a sleeper couch, this apartment can accommodate an additional two children. An open-plan main interior features the kitchen leading into the lounge, which in turn leads out to the patio. 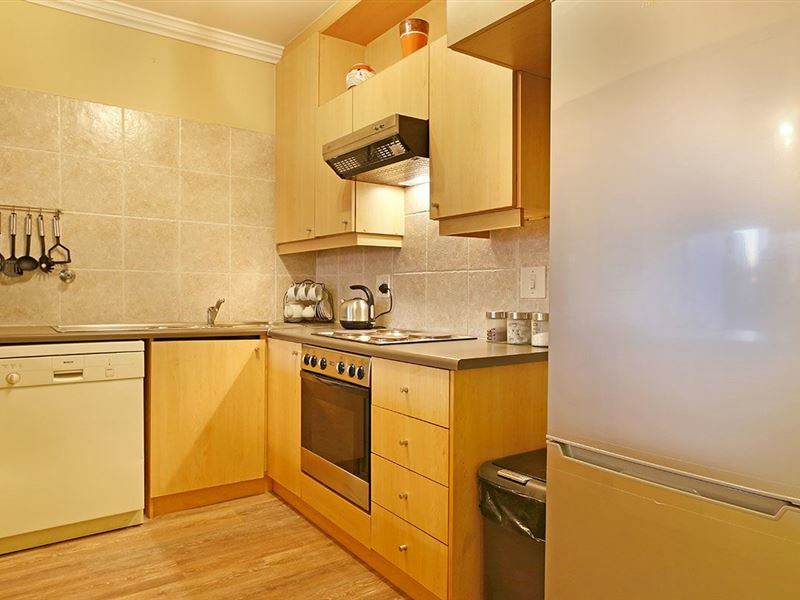 The fully equipped kitchen includes a kettle, toaster, microwave, dishwasher, fridge and freezer as well as an oven and hob. The lounge with two leather couches and a single-seating chair features a large flat-screen TV. The view over the Bay from the patio will be fantastic from the dining table and also from the outside bench supplied. It is perfect for outdoor dining or a relaxing sundower as you admire the gorgeous twilight filing the sky. 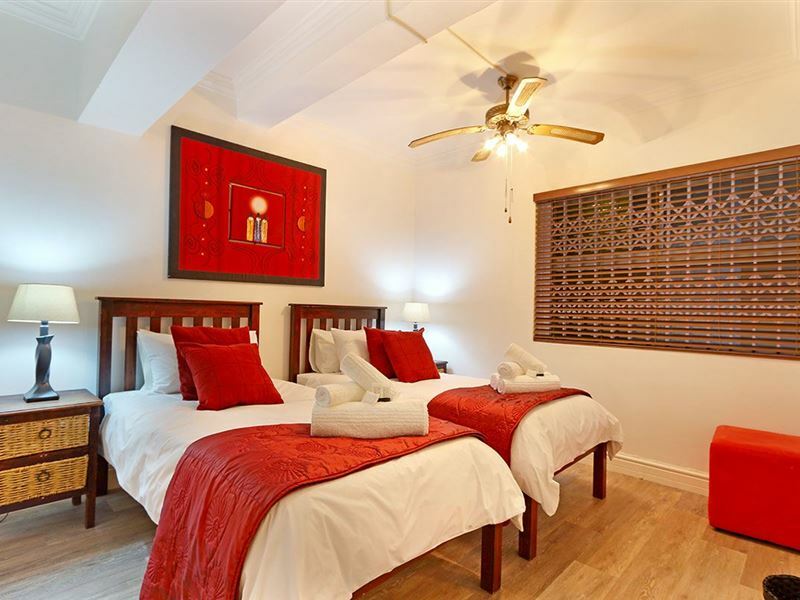 The main bedroom comprises of a queen bed and a flat screen TV while the second has two single beds. The apartment complex is directly across from the beach. 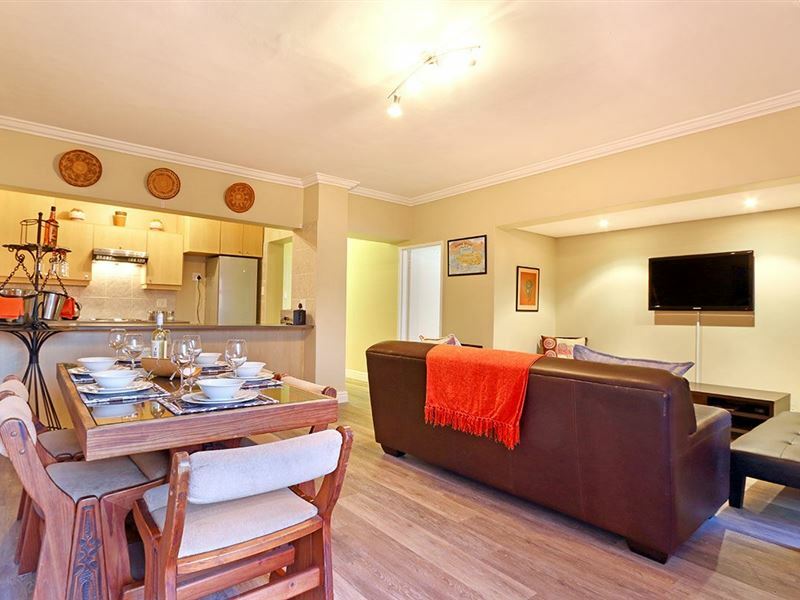 The coastal suburb of Bloubergstrand is a superb holiday destination with various establishments within walking distance of the apartment complex, some of them even facing the beachfront. Two shopping complexes are a short drive away. 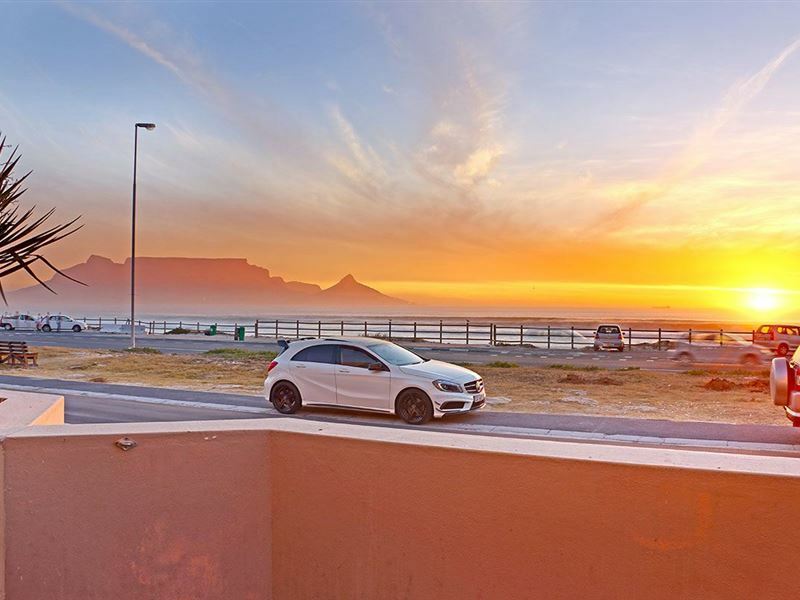 Bloubergstrand ideally offers guests a convenient drive south to the Cape Town Centre while northwards lies the luscious West Coast, which features numerous charming towns and beautiful nature reserves. Very clean. Everything you need. We had a lovely stay in this flat. 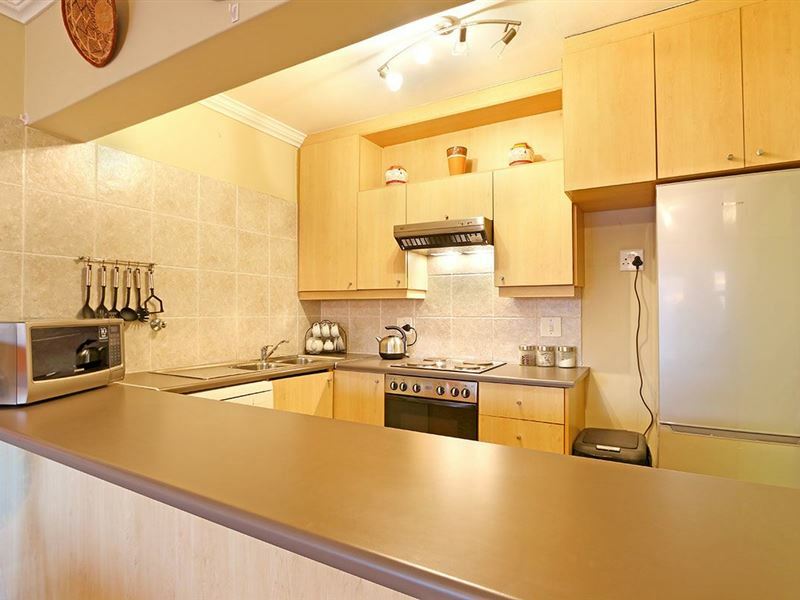 Self catering with everything we needed to make us feel comfortable and at home. I am certainly going to book here again next time! Awesome place to stay what a view of the beach and the table mountain. Breath taking view of Table mountain. Request a quote from The Waves 4 at no obligation. 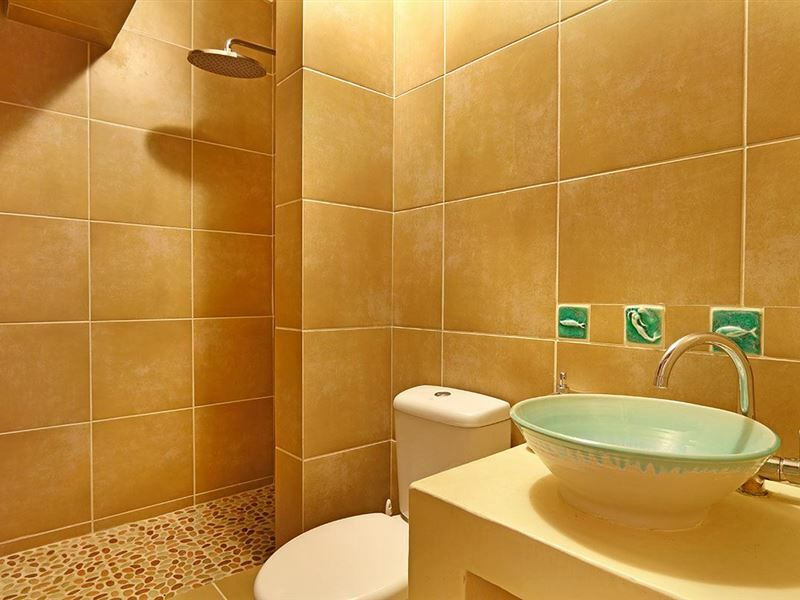 The Waves 4 is within a convenient distance from the beach.